Along the way, the movie also reminds us that the worldwide web was invented at CERN (in English, the European Organization for Nuclear Research; the parent organization of the LHC). That wasn't so we could do Twitter and Facebook. No, the WWW was created so that thousands of scientists, on every continent, could share petabytes of LHC data in pursuit of truly astounding insights. 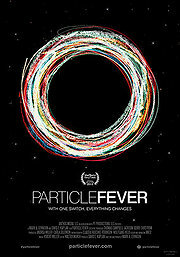 Can a general audience "get" Particle Fever? Mostly. Will you get more out of the movie with some background in modern physics? Undoubtedly. In a world that all too often seems to be coming unglued, where the basest aspects of human nature are all too openly on display, how wonderful it is to be reminded of the soaring heights to which humans minds can aspire.